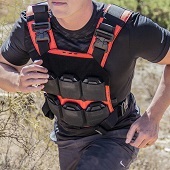 The AR500 Armor® Valkyrie™ Plate Carrier fly’s with upper tier plate carriers at a modest price. Designed not only with function, but durability in mind while being proudly designed, manufactured, and sourced 100% in the USA. The perfect solution for those seeking Banshee like plate carrier features. We’ve re-designed and further refined the Valkyrie to surpass comparable carriers in all categories of importance – quality components and stitching, ergonomics, and comfort all while managing value to the operator. The Valkyrie™ is Berry Compliant and represents a modern approach to a tried and true plate carrier core design. Compatible with all 10” x 12” steel, ceramic, and polyethylene body armor. 500D Cordura Nylon and Bar-Tack stitches on all webbing sections create a rugged core capable of withstanding all load bearing gear. Dual upper and lower admin pockets offer built-in storage, and kangaroo magazine pouch insert compatibility, with Laminated Nylon easy grip pull tab-loops. Padded internal front and rear inner pocket liners increase comfort with all body armor. The cummerbund is fully adjustable via heavy duty shock cord and features a soft loop Velcro inner liner for side plate and utility pouch attachments. Generous sized front & rear Velcro panels allow for large ID panels and markers, while providing a platform for the collapsible carry handle. Quick detach shoulder buckles are front mounted for easy access and feature Laminated Nylon protective covers with strategic vents for easy access. The included shoulder pads are mesh padded and can be worn for additional comfort in any of the adjustable shoulder positions, or removed to reduce carrier printing. 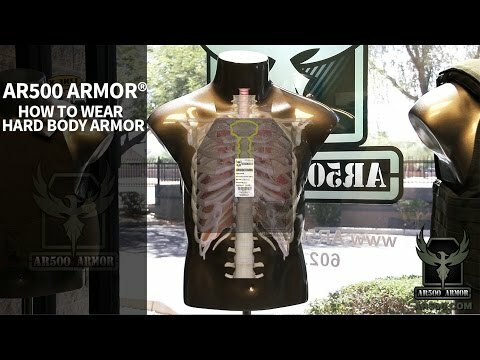 Armor Compatibility: Standard 10” x 12” in all body armor variants to include Steel, Ceramic, Polyethylene, soft or hard construction.